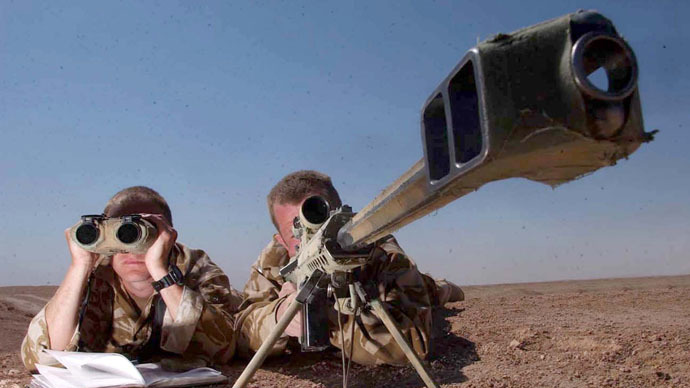 The world's most lethal military sniper is understood to be a British Royal Marine, who recorded most of his 173 confirmed kills during tours of Afghanistan in 2006/07. The Briton, who has not been named, reportedly served in the Royal Navy's elite unit for more than a decade. He served both in Afghanistan and Iraq, according to the Sun. He is said to be married and from southern England. A source told the newspaper, “He is not interested in scores or kill counts. “He took no satisfaction in the job he had to do. Because he saw the enemy as humans he has not struggled emotionally or psychologically with what has happened. According to the Sun, the British sniper hit 90 Taliban fighters in one stronghold in just one day. Sources said the British marine's figure of 173 is “conservative,” with unconfirmed strikes believed to take his total even higher. If the figure of 173 kills is proven true, the sniper is more deadly than US Navy SEAL commando Chris Kyle, who had 160 confirmed kills, making him the most lethal US sniper. He reportedly used a .338 Lapua Magnum rifle to kill an insurgent from 2,100 yards (1.92km) outside Sadr City, Iraq. Kyle, who was shot and killed at point-blank range by a veteran suffering from PTSD at a Texas gun range in 2013, is the subject of the controversial new film ‘American Sniper’. The film, starring Bradley Cooper as Kyle, has been nominated for two Oscars. The Clint Eastwood-directed film has been criticized for glorifying war. Michelle Obama, America’s First Lady, was among those to defend ‘American Sniper’ against claims of promoting violence and Islamophobia. Sharpshooters have played a crucial role in military conflicts throughout modern history, especially during World War II. The Soviet Union was the only country to train dedicated sniper units in the decade leading up to the war. Vasily Zaitsev is known as the Soviet army’s deadliest sniper with some 400 kills. He reputedly killed 225 soldiers during the Battle of Stalingrad. Many reports claim that the deadliest sniper in history was Simo Häyhä, nicknamed ‘White Death’. The Finnish sniper allegedly killed at least 700 men in less than 100 days during World War II.